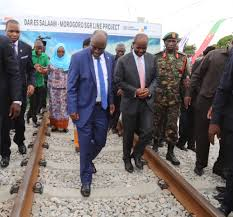 It is understood that Standard Gauge Railway (SGR) electric line is passing through the project connecting the Dry ports designated on 500 acres. TANZANIA’s President, his Excellency John Pombe Magufuli officially launched construction on April 12 of the first phase of the country’s 2561km standard-gauge railway project which will eventually link the Indian Ocean port of Dar es Salaam with Mwanza on Lake Victoria and Kigoma on Lake Tanganyika, as well as neighbouring Rwanda and Burundi. Korea’s national railway operator Korail was awarded a contract by Tanzania’s Reli Assets Holding Company on April 10 to provide consultancy services. 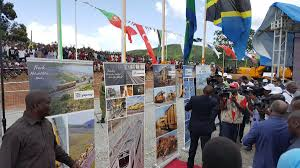 Korail will supervising the design and construction of the standard-gauge line from Dar es Salaam to Mwanza, and will begin working on the first section on May 5.Phase one will be designed for 160km/h operation and will have six stations including a dry port at Ruvu. The line is expected to carry 17 million tonnes of freight annually.